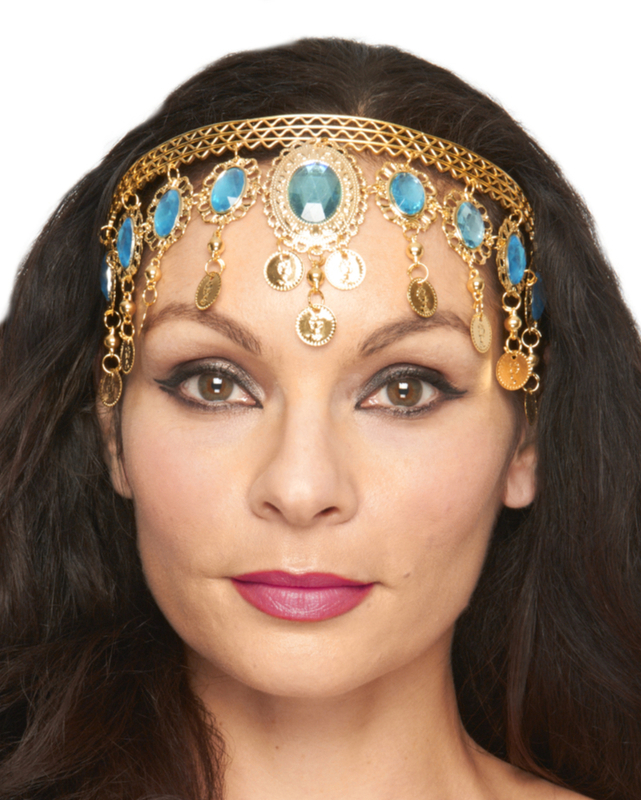 This ornate Arabian style headpiece / headband with beaded swags and faux gems is an easy way to add that perfect finishing touch to your Belly Dancer or Halloween costume. One adjustable size. I'm so glad I took the chance to purchase this item. Very nice head piece. 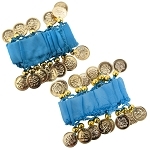 It goes with my Turquoise blue hip scarf I purchased from Bellydance.com also. I cannot wait to wear it.!!!! It was beautiful and got tons of compliments. This is a very nice head band. I ordered one in gold and in silver so I can change up. It's very comfortable and can be adjusted to fit your head by simply bending it. Bought this to wear at a horse show in the Arabian Native Costume class and it matches the rest of my costume perfectly! I attached it to a head veil and looks stunning.